...NOT Just AN ORDINARY WATCH BUT ... A HIGHLY REGARDED!!! 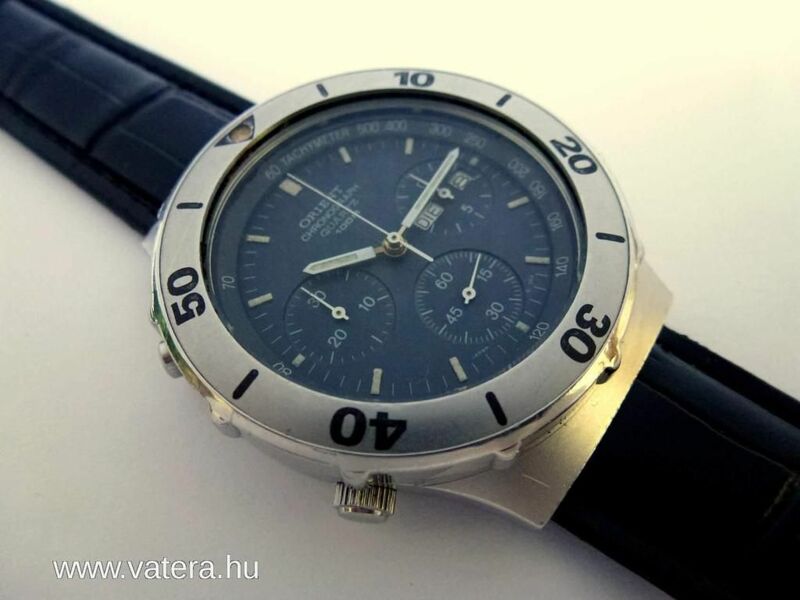 Quartz Analog CHRONOGRAPH!!! 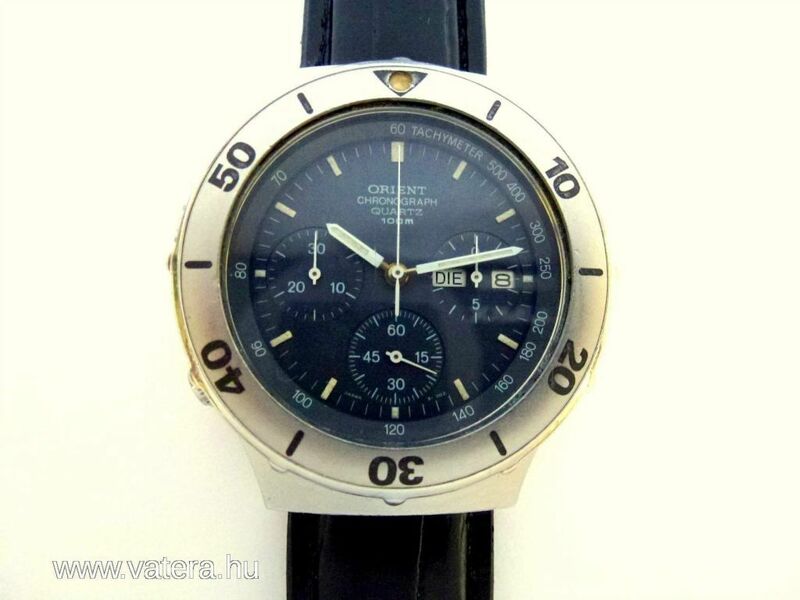 THIS WATCH IS VERY SIMILAR WITH SEIKO 7A38 CHRONOGRAPH WATCH BUT THIS ORIENT WATCH IS MUCH RARER AS COMPARED TO SEIKO 7A38.
. . . 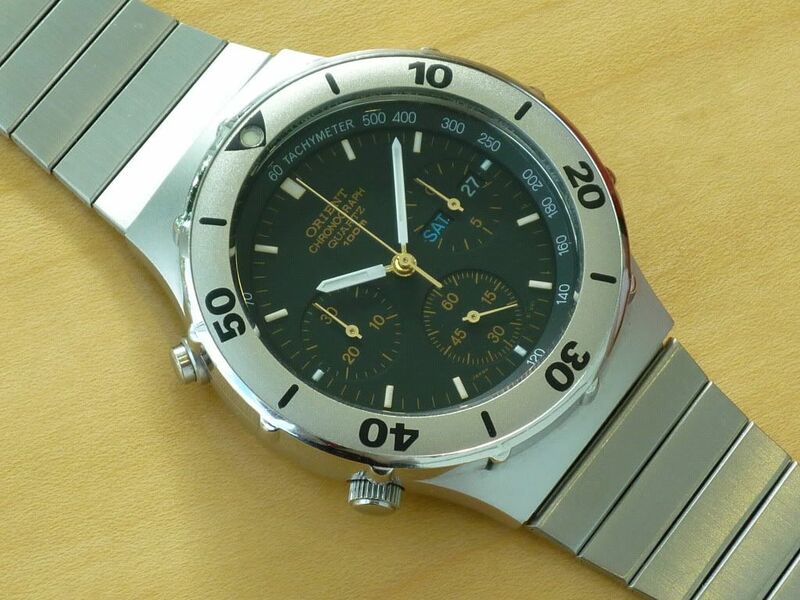 The cousin of Seiko 7A38 and 7A28 dubbed as World's First Quartz Analog Chronograph... indeed A PIECE OF HISTORY!!!
. . . Contains a highly precise electronic circuit and crystal oscillator.
. . . 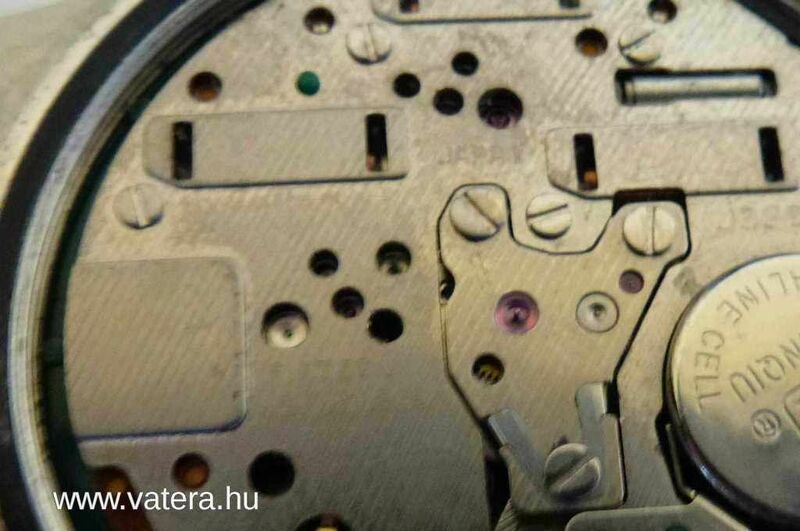 This movement is METAL-GEARED, which make it more interesting compared to its successors that used a lot of plastic parts inside. 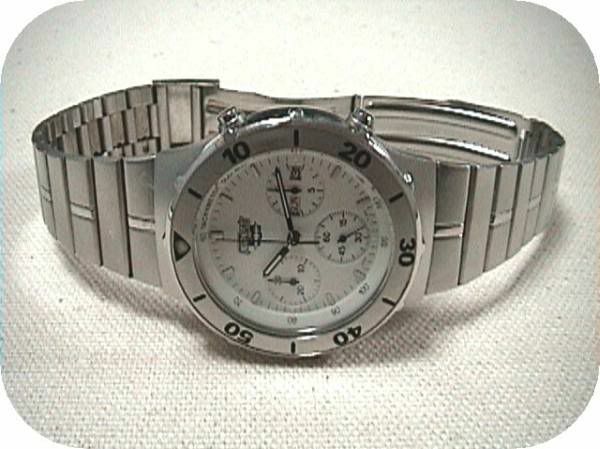 This Watch is known for its durability and reliability!!!
. 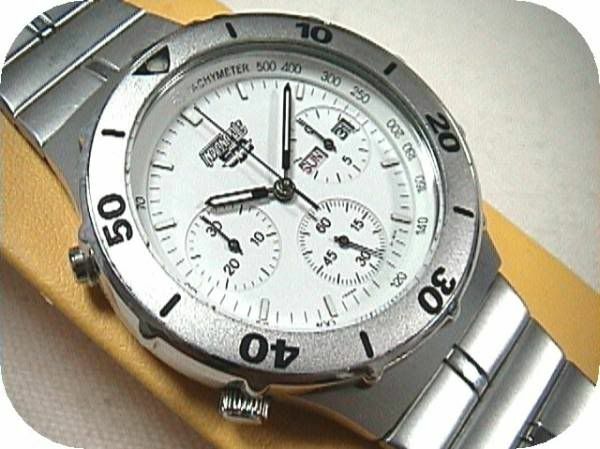 . . A rarely seen Chrono Watch. 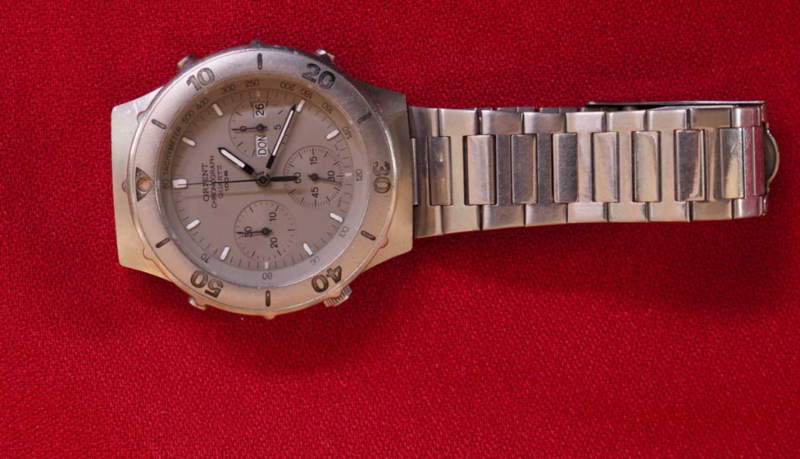 Instead of starting the 7-day listing at a nominal $9.99 and taking his chances, for this 'ultra-rare watch', the seller has simply listed it with a Buy-it-now price of $148.50 (approx. £94), and no option to make a best offer. I mean - who does Edmar think he's kidding ? 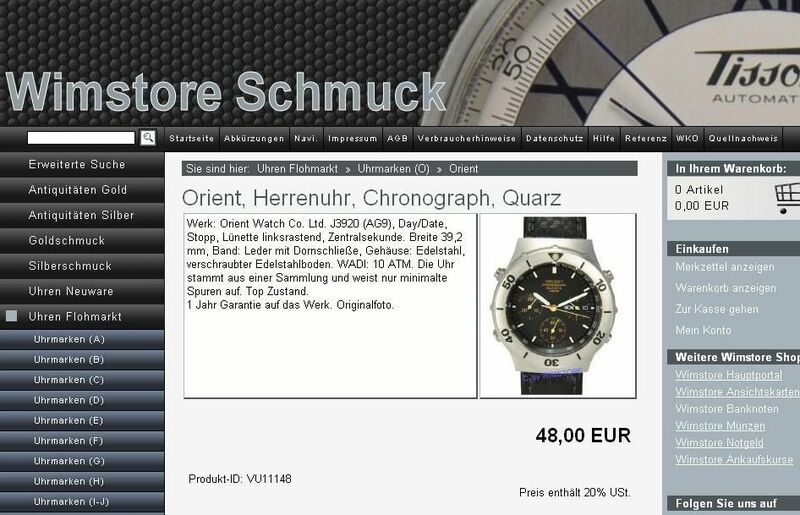 In an effort to help those two deluded would-be sellers get their asking prices into perspective, perhaps someone should draw their attention to this: http://www.wimstore.com/uhren/quarz-uhren/orient/orient-herrenuhr-chronograph-quarz.html (URL since deleted) - another online advert for an Orient J3920, which comes high up in Google search results; the same model - a J39701-70 to boot. Note the asking price - a mere 48.00 Euros ! To me - last August. Not for their realistic 48 Euros asking price, but thanks to the albeit misguided generosity of the proprietor Josef Walkner's son Thomas, and a self-induced; easily rectifable fault (the classic displaced chrono' sweep second finger tension spring), they kindly donated the watch FREE - save for the cost of 10 Euros postage ! My cheapest Orient J39 to date ! That watch came on a quality leather strap - but I believe that all the J39x01-70 variants would originally have come on bracelets. 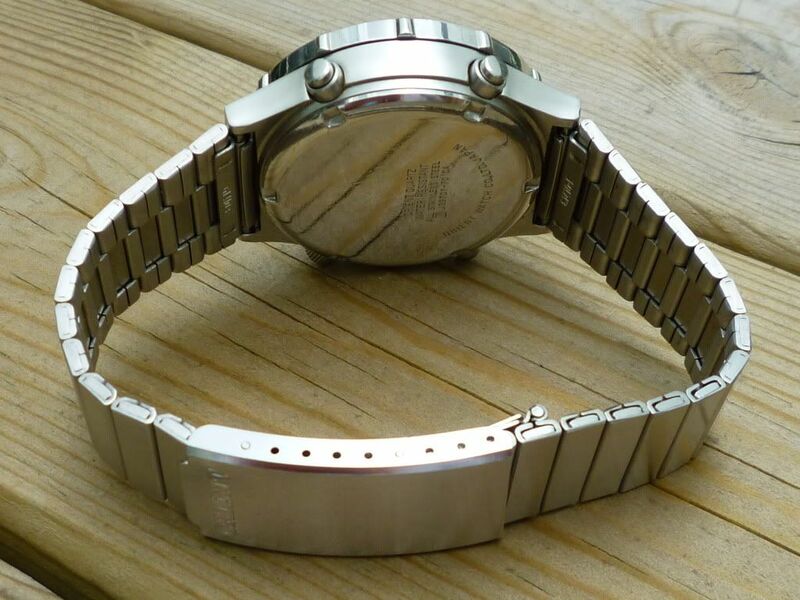 So I fitted a Seiko p/n G1410S 20mm lug width bracelet, replacing the Seiko clasp assembly with a matching brushed Orient one. I picked it up on eBay in the States 12 months earlier, in August 2010 - for only $65. I tend to regard this one as a 'bit of a beater'. Here it is photographed (not particularly well) alongside my champagne-dialed two-tone J39001-70, which most definitely is a beater ! 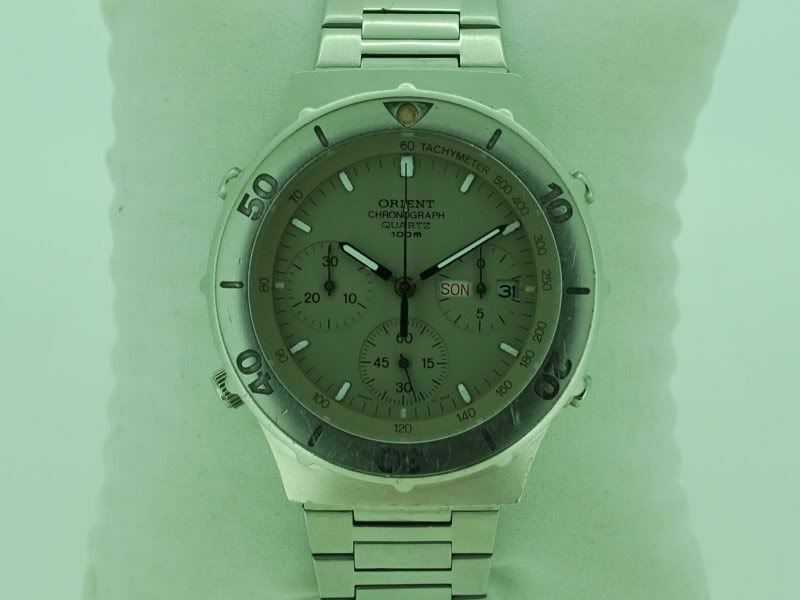 So - apart from the excuse to post up some photos of my own Orient J39x01-70 J39 Desk Divers, why am I blathering on ? 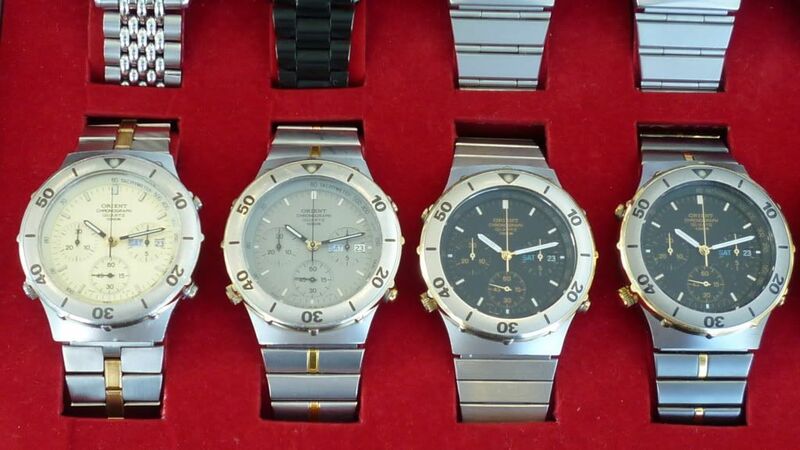 Simple - despite these sellers' claims that these watches are 'Ultra-Rare', they're clearly not. In the space of two years, with very little effort, I've managed to pick up 5 different versions of the J39x01-70 Desk Diver - besides three other different Orient J39 case models. Just like their Seiko 7A38 siblings (which were probably made on a parallel production line, in the same shared factory), these were mass produced watches. 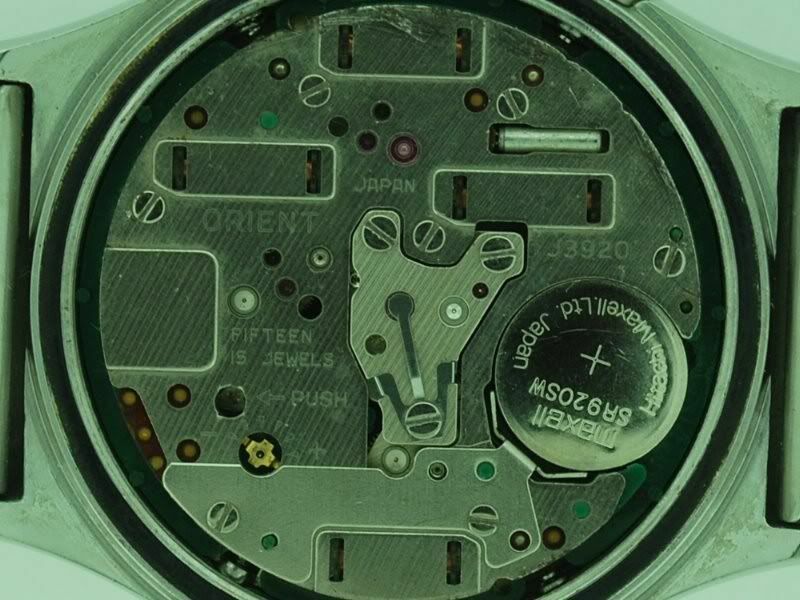 It's a fact that most watch collectors look down on Orient, and many wrongly criticise them as being Seiko's low-rent 'poor cousins' - just try reading any comparative reviews between a Seiko and Orient Diver. 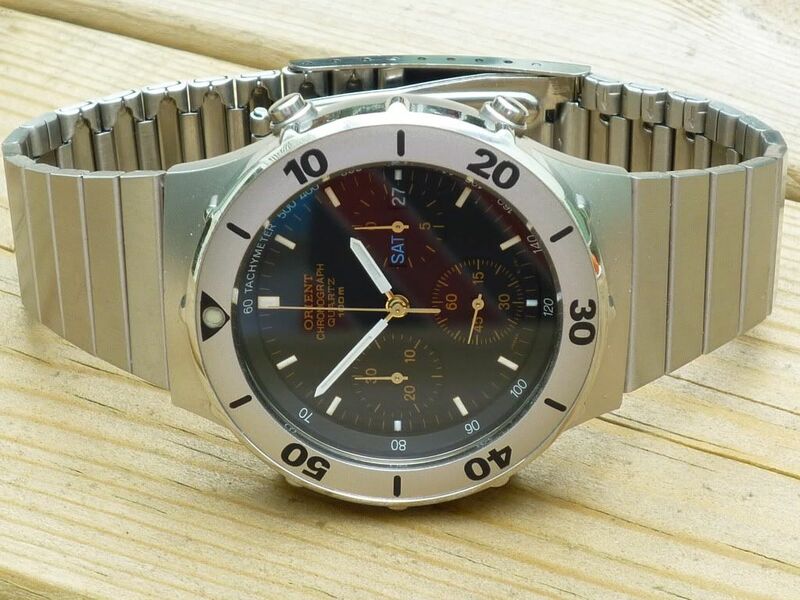 So until I unwittingly drew mass attention to the existence of the Orient J3920 '7A38', by writing that 8-page thread on RLT, they've largely been ignored by collectors. Methinks he doth protest too much ? Au Contraire my friends. There is absolutely NO WAY I'll ever consider paying double my previous average for badly photographed, botched up beaters ! Posts: 34 Is original the bracelet of mountapo's Orient? Is original the bracelet of mountapo's Orient? 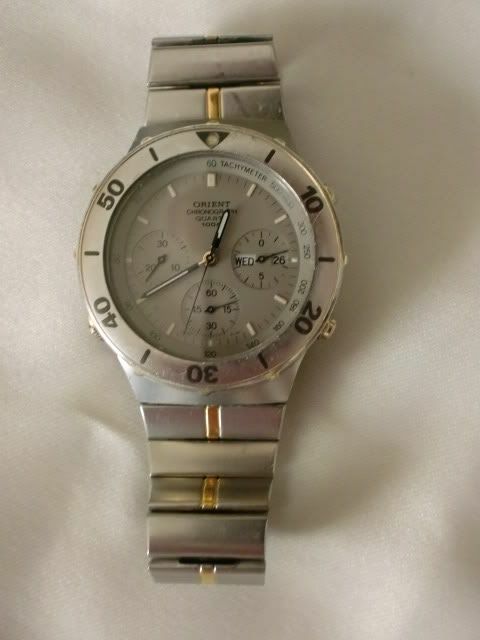 In his eBay listing he describes it as: It comes with Generic Stainless Steel Bracelet. So it could be from anything. 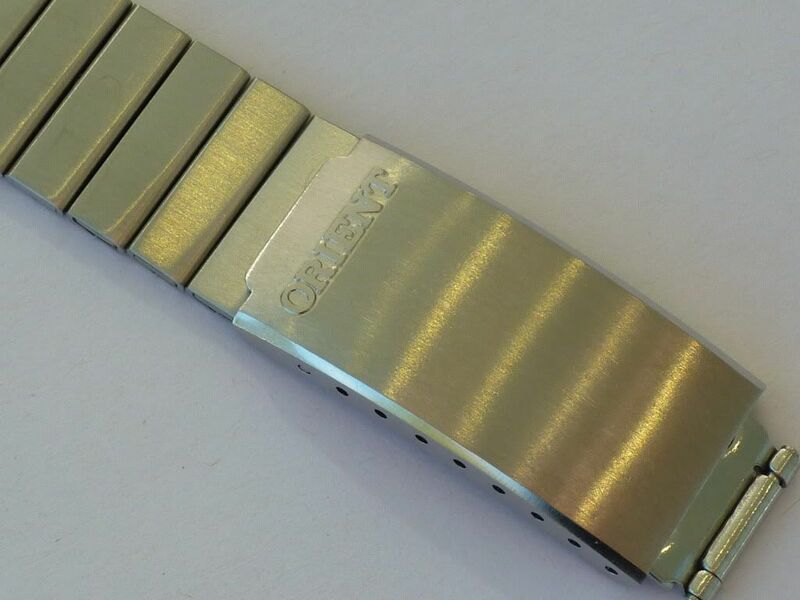 The J39701-70 in the Yahoo Japan listing has the correct original Orient p/n SA160 bracelet fitted. But $500+ ?? down to $124.50 (approx. £78.50) - and once again it went unsold. Hardly surprising, IMO. Try again (harder next time), Edmar. Re-listed again on 28/02: http://www.ebay.co.uk/itm/280835278689 - now down to $98.50 (approx. £62) - getting there slowly. It's down to $89.50 tonight! What kills you is that shipping cost. Still too much, really, Meng - for an Orient J39 in that condition; and you're right - $35 for 'Economy International Shipping' is the 'killer'. For that sort of charge the seller ought to be offering EMS. with a Buy-it-now price of $148.50 (approx. £94), and no option to make a best offer. I mean - who does Edmar think he's kidding ? That well-worn-looking Filipino Orient J39701-70 finally sold late this afternoon (presumably as a Buy-it-Now) for $73 (approx. £46). See: http://www.ebay.co.uk/itm/270929230876 - Less than half the seller's original asking price, and probably still too much IMO. Hi all so I am the guy who paid the $73 bucks for this watch. Did I get a bargan probably not. Did I get ripped off nope not that either. This watch looks much like the one above called your beater which you paid $65 for a year and a half ago. so I figure I am ok on the price. 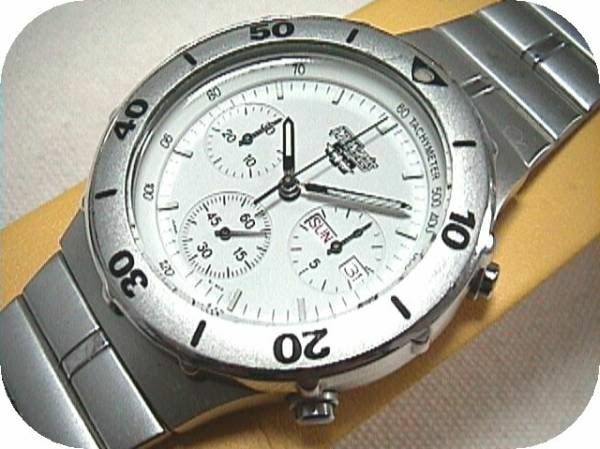 The watch is exactly as described used with wear marks but clean crystal and dial, and after market seiko band. I think the seller has done himself a disservice whith the green pics. I want to take a moment to comment on this thread as a bit of a devil's advocate. We must remember that regular sellers on ebay are selling on ebay to make a profit. Especially in third world economies such as the Philippines it is often vital to suppliment income. I cannot find fault with the guy trying to get as much as he can for his watch. I found the substance of his ad truthfull. I also corresponded with him about faults I could see and he was very forthcoming telling me more faults than I asked about. 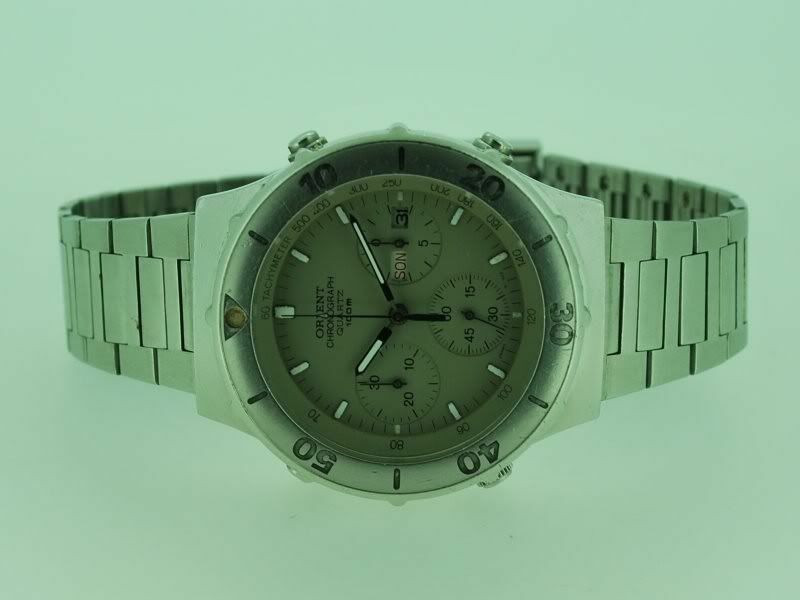 As photography is one of my hobbies I could overlook the green caste in the pics and concentrate on the details and the details tell the story its a well used but fully functionally and reasonably good looking watch for its age. All the hyperbole such as Awsome super rare and so on are merely advertising static and I would no more credit them here than I would at the local used car lot. 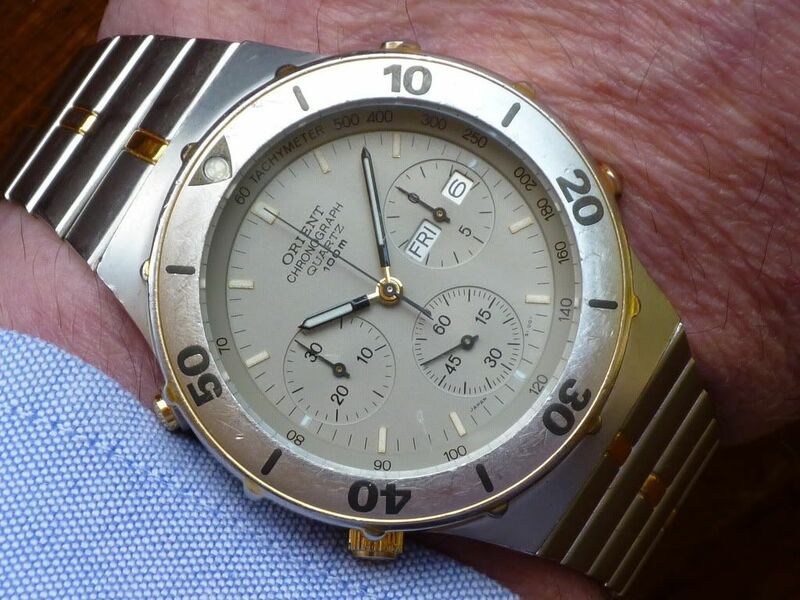 If you remove all the adjectives and hyperbole what the man said is this watch is rarer than the regular 7A38 from Seiko and it showed signs of use commesurate with its age and that the watch band is not original. He said the watch was fully functional and it indeed is. I think I got value for my dollar and I feel he was honest and forthcoming with me and I would give this dealer a second try. I also want to point out here in public as I did to the moderator in private that if the parties to the sale are both happy the price was right. If tomorrow I find a better watch cheaper will that ruin my day? Nope its the luck of the draw. Remember some of you have been collecting these specific watches for years and know sources we newbies can only dream of. 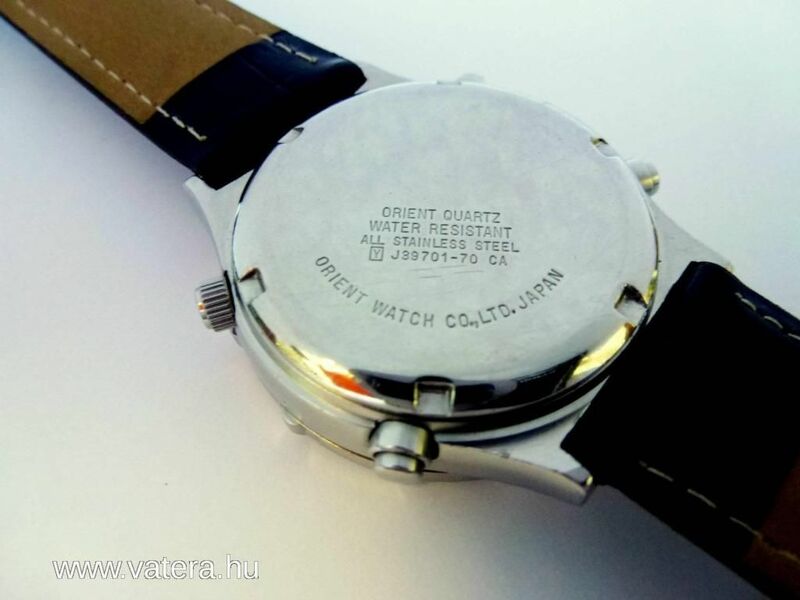 Finally as I mentioned in another forum, I really dont want mint or close to mint watches especially in the older watches. The patina of use is part of the history. Was this watch abused by its previous owner and I am taking care of it or was the watch loved many years the patina will tell. Nicely replied to, John. If I wasn't expecting some kind of response to this thread, I wouldn't have PM'd you a link to it, now would I ? The watch certainly looks better in your photos, without the green hue; the price you paid $73 is much nearer the mark(et value) IMO. 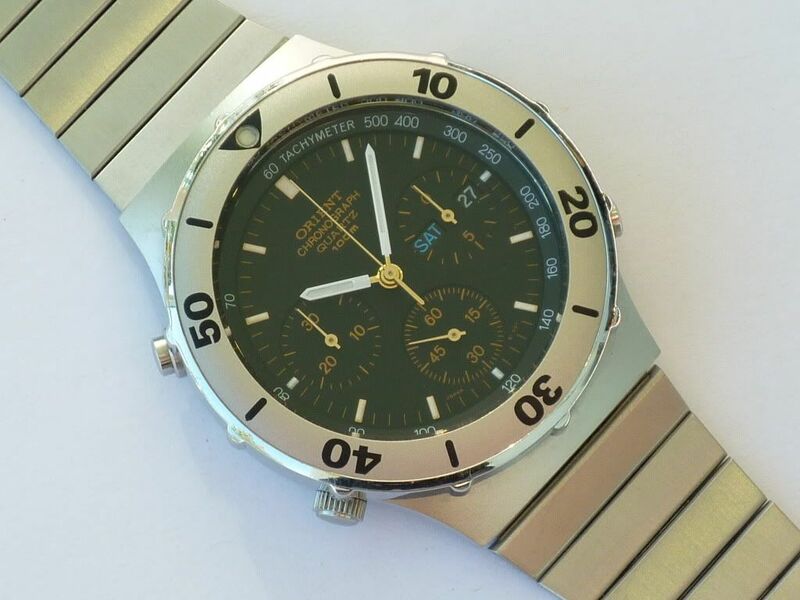 Something else I've just noticed from your photo (although it was readily visible in the eBay listing photos), is that your watch appears to have been fitted with a replacement sweep second hand - funnily enough off a Seiko 7A38 (the standard sweep hand with lume pip). 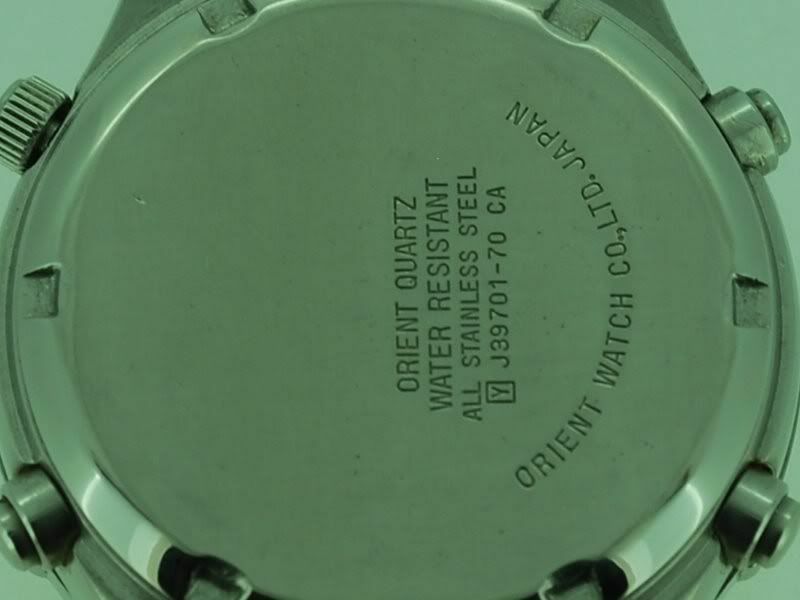 No biggie, because the hands, and a few other case components, used on these Orient J39's are off-the-shelf Seiko parts anyway. I have no idea if that's a replacment but it looks good. But the back looks much better in the flesh than in the photo. The flash was about forty five degrees and picked out ever possible mark. The back had been polished. He couldn't polish the front without painting the lettering so he left it fortunately. I think someone also applied lume. Much better job than my bull head Citizen but still obvious. 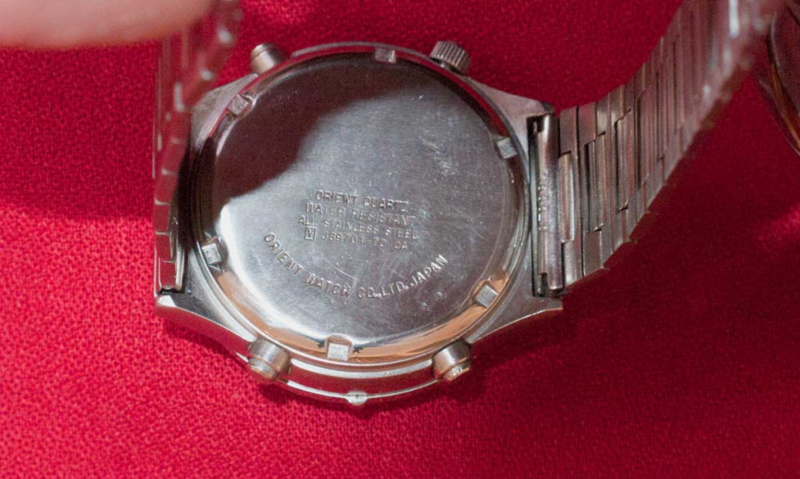 The other watch is in similiar condition but seems more all there. The clasp thingie is short which is how I remember mine. I have no idea if that's a replacment but it looks good. 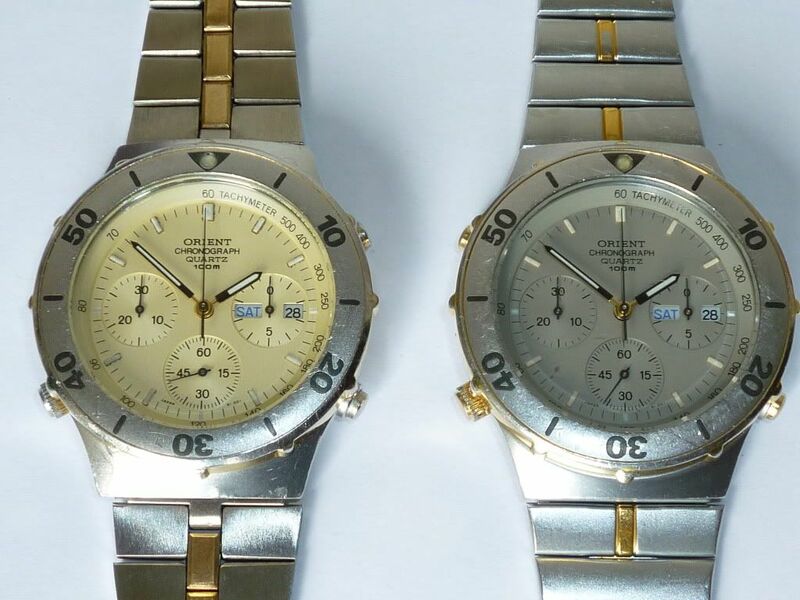 Compare the sweep second hand on your Orient J39701-70 to the photos of all the other J39's in this thread, then compare it to the one fitted to your Seiko 7A38-7280, and you'll see what I mean. Looks the same to me as some of your Orients ? I suggest you may want to look again - closer, John. I don't have a problem with you (or anybody else) including a link to SCWF on this site, at all John. Apparently the reverse is not true. .... from ¥39,500 Yen down to 'only' ¥35,000 Yen. That's still £288 / $448 US (+ import duty / VAT) in real silly money terms. 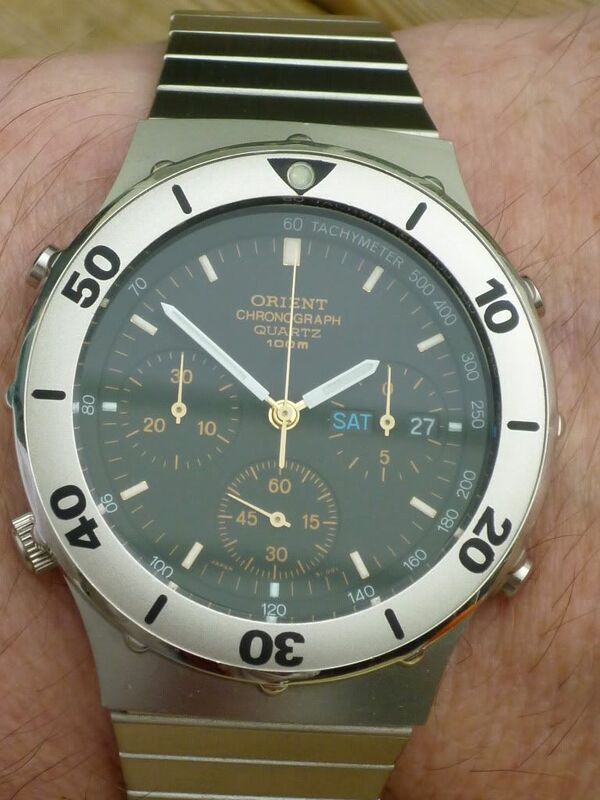 One assumption I'd made, when I first saw it, was the Orient model number - which the seller doesn't mention in their description. I asked Dai(suke) if he'd be so kind as to message the seller and ask them what was stamped on the case-back - which he did. As I suspected it turns out to be a J39701-70 CA. It's surprising where these things turn up sometimes (besides eBay). Payment: Reference / Hungarian bank account deposits and cash. The products of Hungarian post and I will send a mailing once a week, or held for pickup. All happy to answer your question, but I'm still net close by. I wish J bidding! Please see my other products! The (Buy-it-Now) asking price is a reasonable 15,000 Hugarian Forints - equivalent to approx. £41 or $64 US. I was initially tempted to (try and) buy it for myself - not for its own sake, but to break up for spare parts. I messaged the seller, asking if they could speak English, and if they'd consider shipping it to England. They didn't. Plus there's no option to pay by Paypal, and as I don't have a Hungarian bank account, I've given up on the idea.